Cameron from CRG Plumbing & Maintenance is a fully accredited and qualified backflow prevention specialist, and can provide comprehensive backflow prevention services for properties throughout the Campbelltown and Greater Sydney region. Did you know: By law, a boundary backflow prevention device must be checked annually by a qualified and licensed plumber. Backflow occurs when water from a customer’s property flows backwards into our pipes. This may carry contaminants that can harm people’s health. These devices ensure our water supply isn’t contaminated from hazards on a customer’s property. They stop water in a customer’s water pipe flowing back into our water main. Strong plumbing regulations and Plumbing and Drainage Standards are in place to protect our potable water supply from contamination which can occur when chemicals and other contaminants are drained back into our water distribution system. 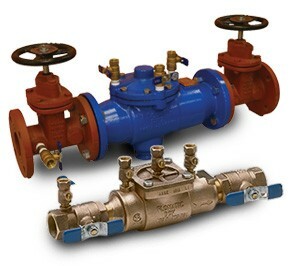 We are happy to conduct a review of your backflow prevention devises to ensure you comply with regulations. Contact us on 0438 517 552 or 02) 4656 4064 for an appointment.